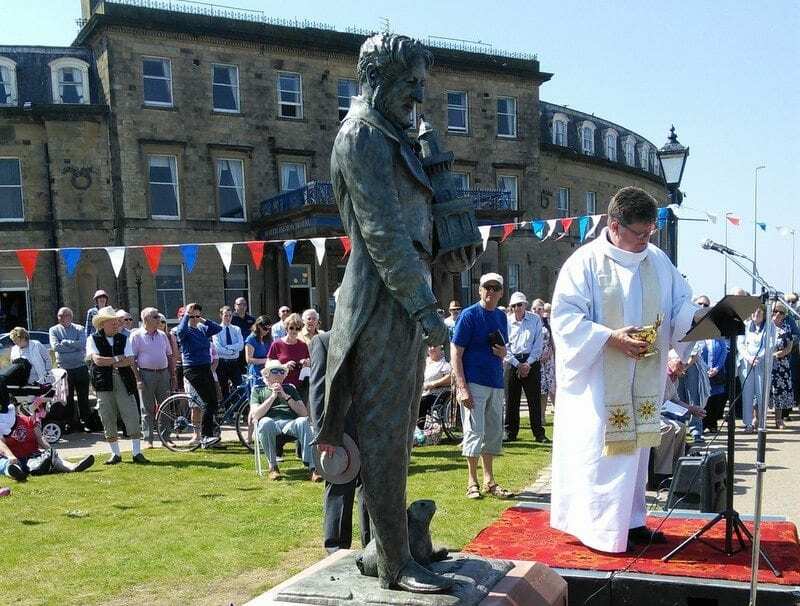 Fleetwood Civic Society, Fleetwood Museum and Fleetwood Rotary Club worked together to put a statue of Sir Peter Hesketh Fleetwood at the heart of the town which he founded. 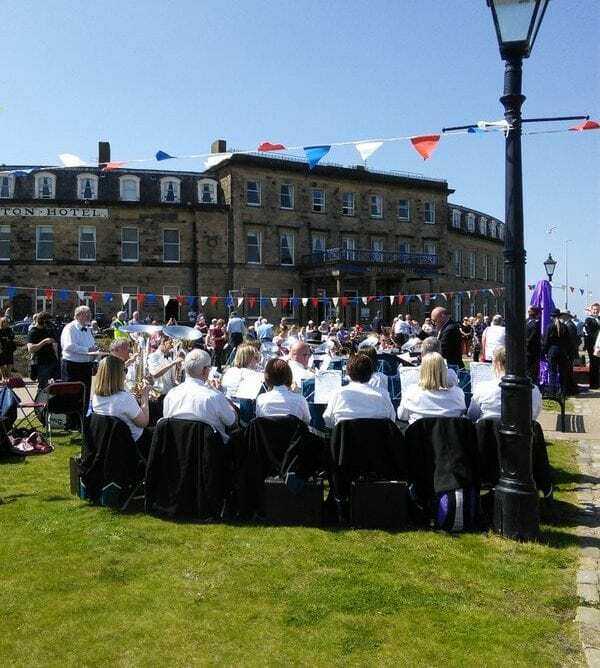 Everyone was invited to the unveiling ceremony on Sunday 6 May 2018. 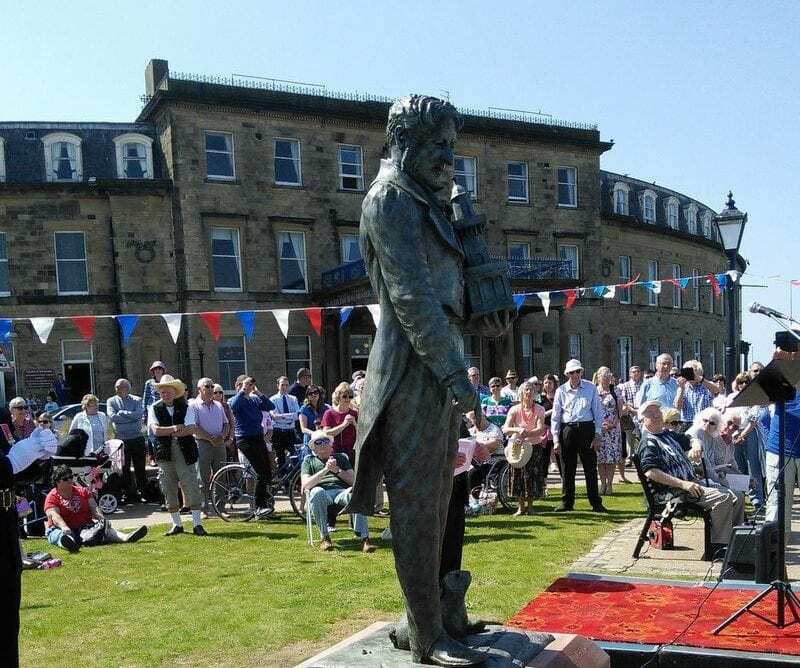 The sun shone and it was a glorious Bank Holiday Sunday for the unveiling of the statue of Sir Peter Hesketh Fleetwood. 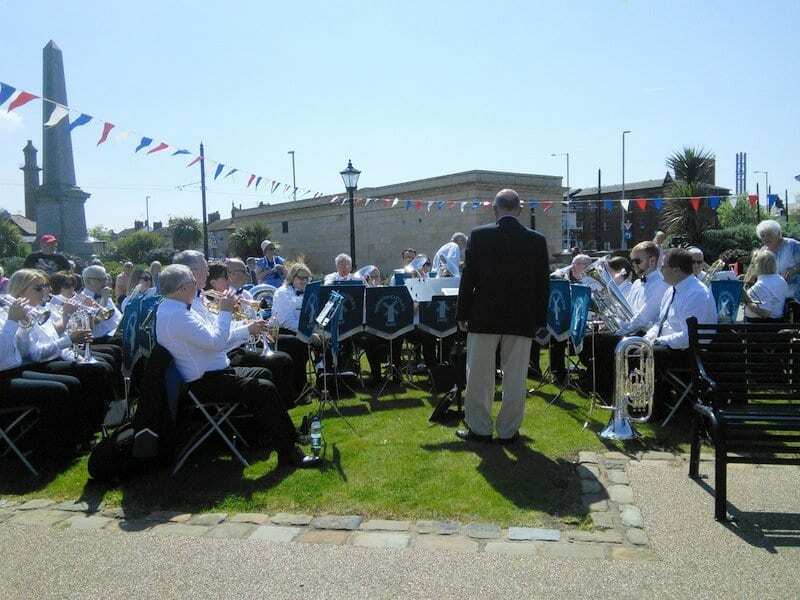 Fleetwood Old Boys Band played, entertaining the crowds, along with Thornton Cleveleys Brass Band, before the official unveiling ceremony at 2.15pm. Many thanks to Julie Dalton for these excellent photos from the event. With thanks to all of the benefactors and supporters who have made this possible. 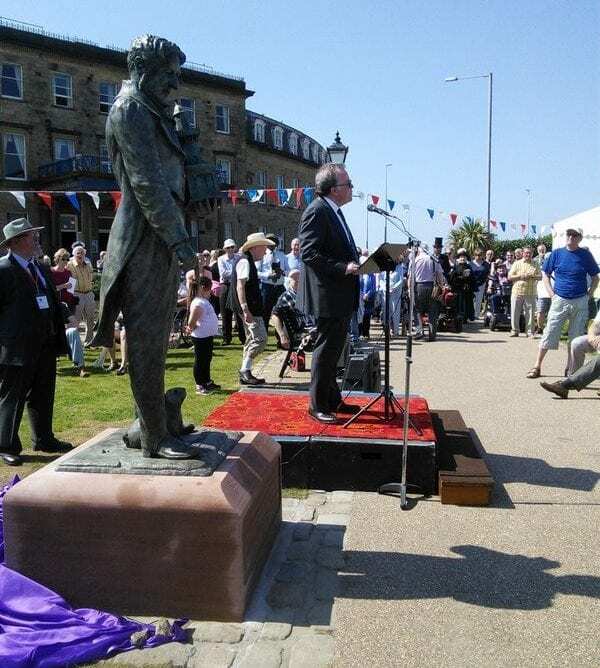 After months of work it’s wonderful to acknowledge the importance of Sir Peter to the history of Fleetwood with this prestigious piece of sculpture, and share a lovely afternoon celebrating the life of the founder of Fleetwood. 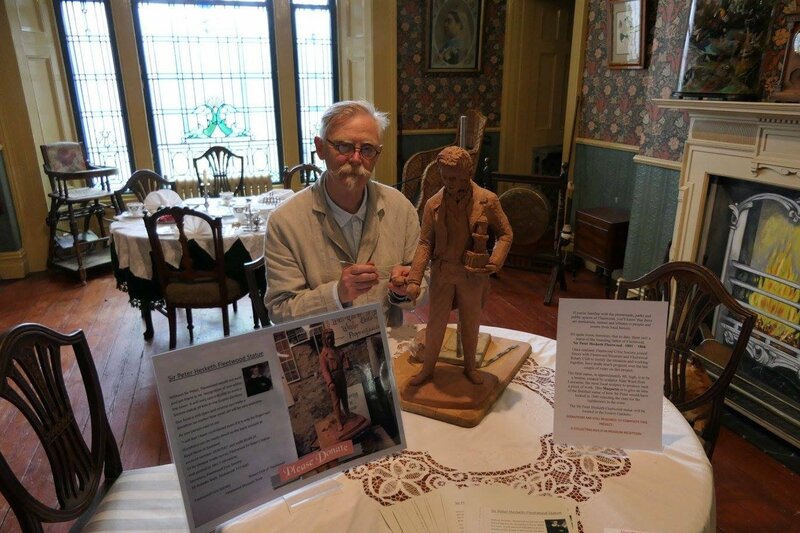 The maquette of the new statue of Sir Peter Hesketh Fleetwood was on display at Fleetwood Museum for Heritage Open Days Weekend, from 7-10 September 2017. It was a very popular attraction and the Museum was busy all weekend, especially on the Sunday when the sculptor himself was present. 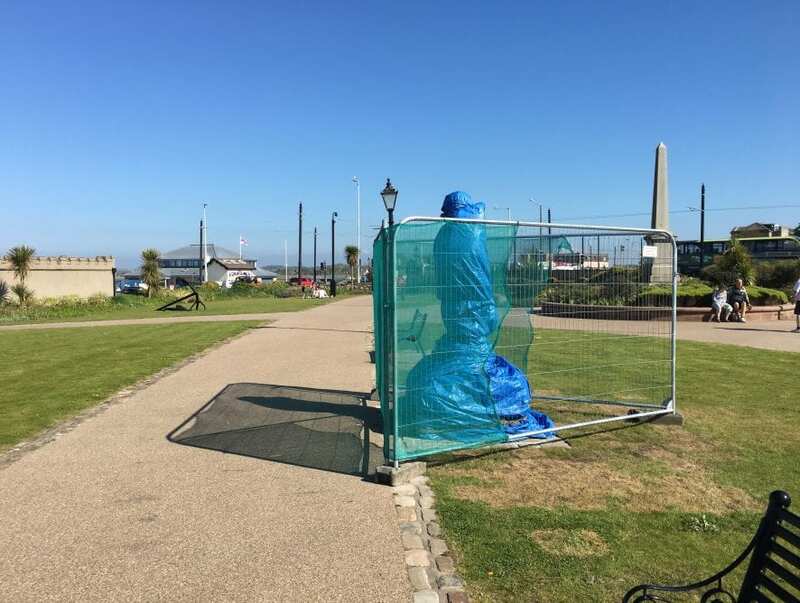 As of the end of July 2017, the team had secured planning permission and have instructed the sculptor Alan Ward to start work on the maquette (small scale model) of the statue. 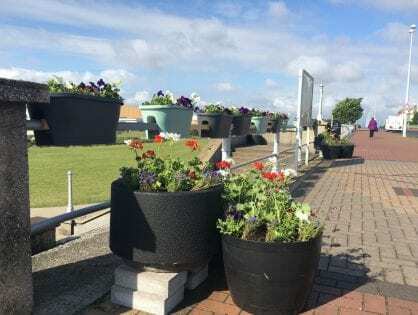 If you’re familiar with the promenade, parks and public spaces of Fleetwood, you’ll know that there are memorials, statues and tributes to all kinds of people and events from local history. 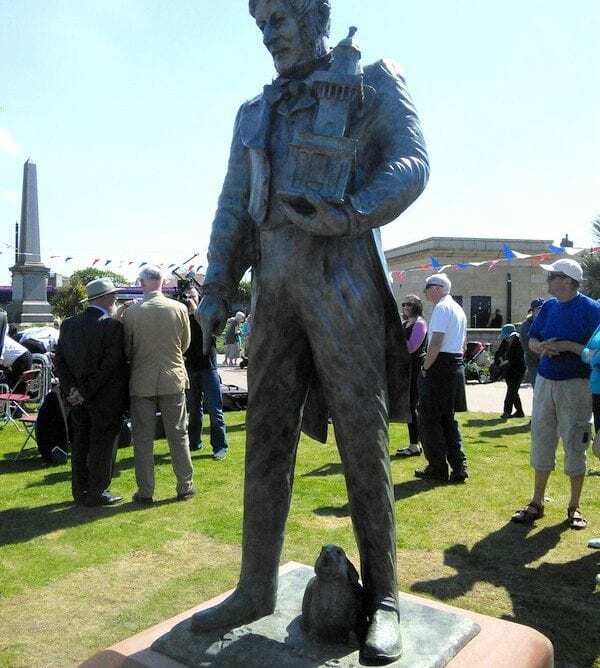 It’s quite ironic therefore, that until now there wasn’t a statue of the founding father of Fleetwood himself – Sir Peter Hesketh Fleetwood. 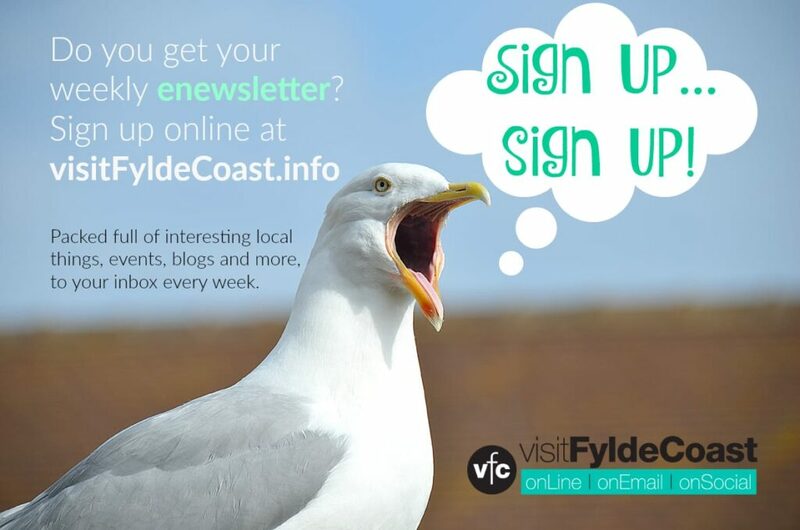 Once they’d realised this, Fleetwood Civic Society joined forces with Fleetwood Museum and Fleetwood Rotary Club to try and put the situation right. It’s taken a lot of hard work and perseverance in the years that they’ve been working together on this project. 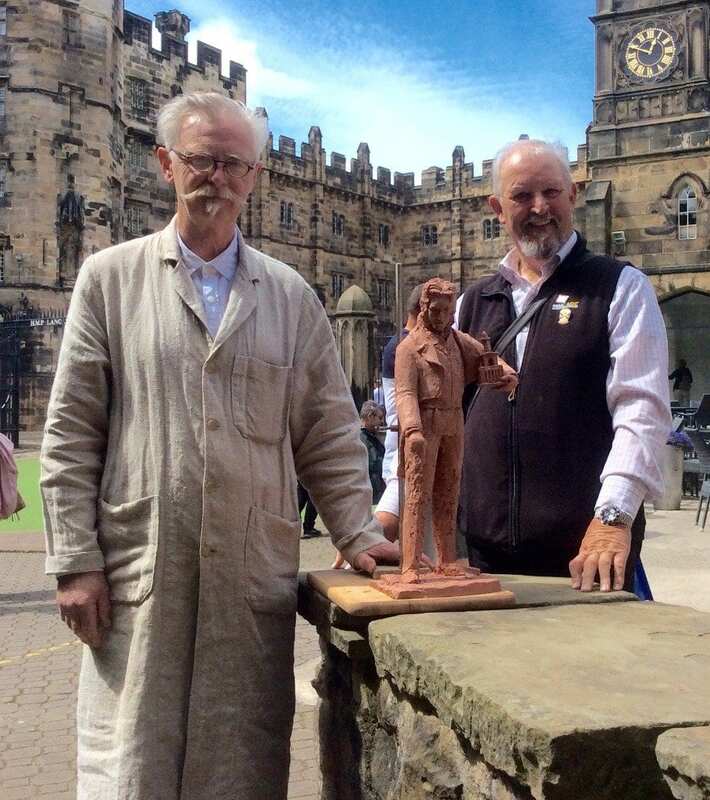 The statue is a bronze, created by sculptor Alan Ward from Lancaster. He’s the most local sculptor who could produce such a piece of work. Sir Peter Hesketh Fleetwood will be located in the Euston Gardens. 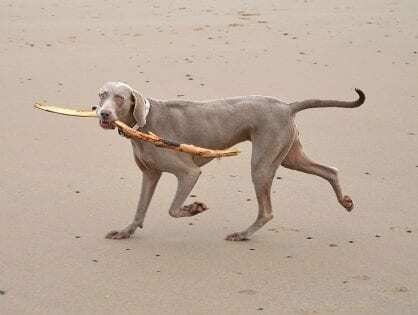 There’s still a little way to go to reach the final total which this project is estimated to cost, and if you’d like to make a donation it would be very welcome. 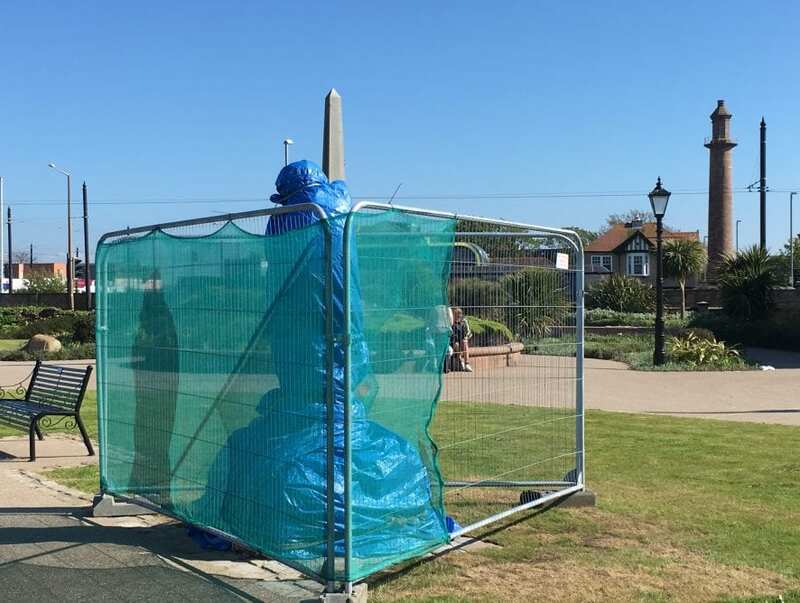 The large amount of the £40,000 required to erect the bronze statue of Sir Peter Hesketh Fleetwood has been secured through pledges from various kind benefactors, including a substantial contribution from Mrs Lofthouse, and others from the Haldane Trust, The Payback Time Trust and individual bequests from local people. However small or large an amount you would like to give it will all help towards realising the final goal.  Look at it this way – you could say that you have paid for his finger nail! Sir Peter Hesketh Fleetwood, descendant of Edmund Fleetwood, the first named person to reside at Rossall Hall. 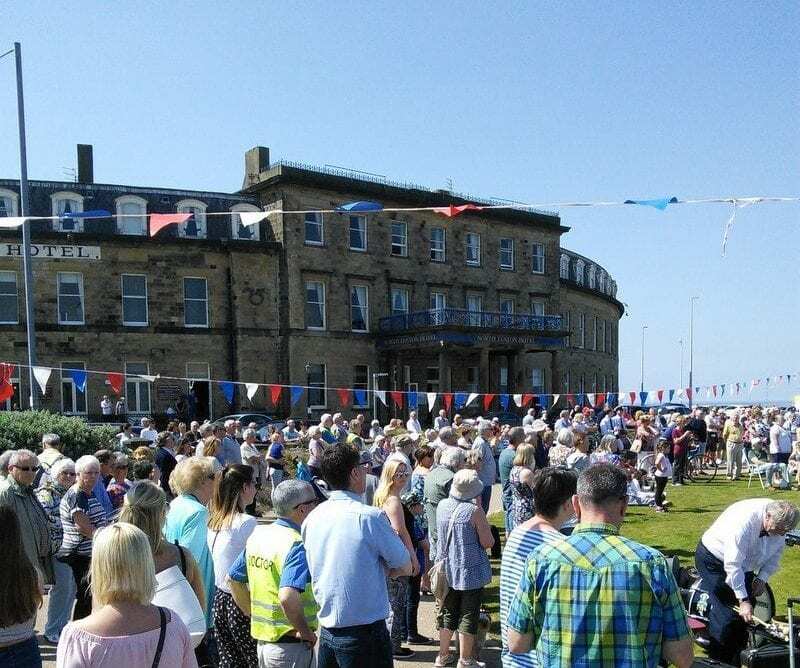 He was the man who put the town of Fleetwood on the map. 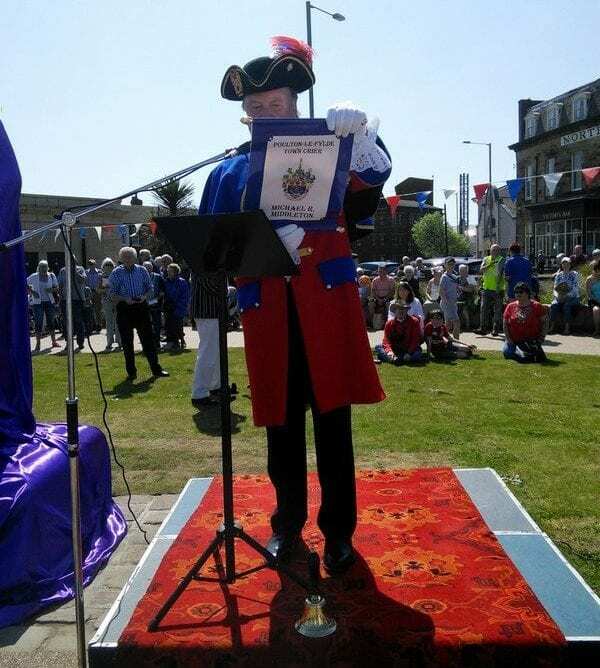 Peter was Lord of the Manor, High Sheriff of the County of Lancashire and MP for Preston. He was later knighted and changed his name to Sir Peter Hesketh Fleetwood. 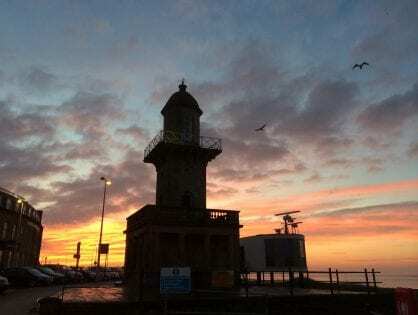 He believed that Fleetwood held the makings of a busy seaport and popular resort. 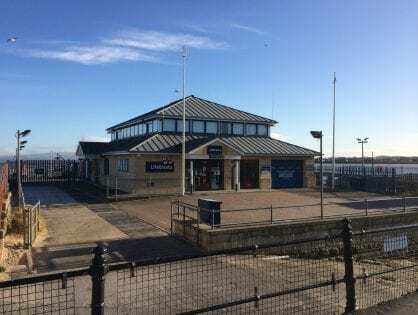 At this time it was nearby Poulton-le-Fylde which was the busy sea port for sailings to the Americas. 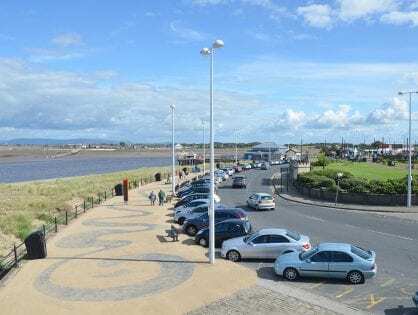 Fleetwood had a river mouth, a natural sheltered harbour, golden sands, sea, air like wine and breathtaking views across Morecambe Bay on clear days. All that it lacked was a railway from Preston. Peter Hesketh hired Decimus Burton and work on the railway and the first buildings commenced in 1836. 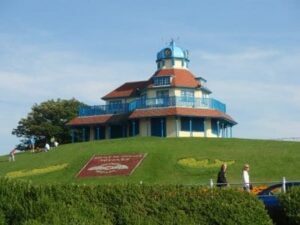 Find out more about the history of Fleetwood. How fabulous! We have just noticed this as have recently been researching our family tree. Sir Peter Hesketh is my GGGG grandfather! Wow, that’s amazing! You should tell the organisers that you’re related. Get in touch with the Museum.